Like an iPad. But better. Apple's iPad mini proved the company was capable of replicating the success of its original tablet, but what if it decided to go bigger? Despite Steve Jobs affirmation that Apple would never make a seven-inch tablet, the iPad mini has been a runaway success since launching in November last year. So, if Apple is prepared to go smaller than the 9.7-inch iPad, would it ever consider a larger tablet? We're a curious bunch at T3.com and that was our launchpad. 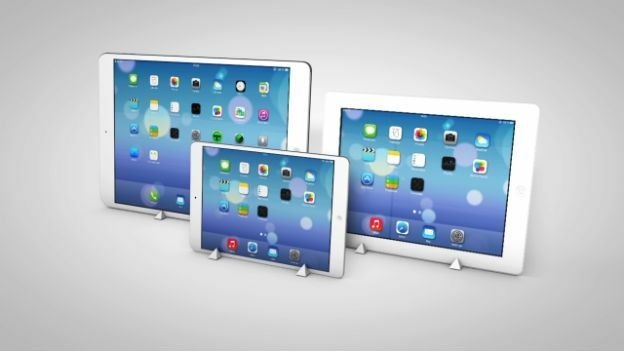 We began wondering about such a device: What would a super-size iPad look like? What would the features be like? To answer these (self-imposed) questions, we've put together a new, unofficial concept video of what we're calling the iPad Pro. Featuring a 12.9-inch Retina Display, the iPad Pro would be the tablet version of the MacBook Pro and it would be, frankly, awesome. Have a look at the video below to get an idea for yourselves, and let us know what you think.